When flight attendant Hailey Lane learns the rest of her trip has been cancelled and she can fly straight home to spend her birthday with her boyfriend Michael, she's thrilled. Her early arrival will allow for some additional date night prep time, a definite bonus as she's convinced Michael is about to propose. But when she walks through the door, the surprise that awaits her is not at all what she expected. And as she grabs her bags and flees the scene one thing is clear-her entire future has just been rerouted. So Hailey does the only thing she can: she sets out on a worldwide trip to fix a broken heart. 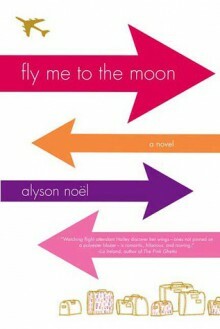 And thanks to free flight passes and long layovers in exotic locales, she finds herself with more options than she could have ever imagined... From New York to Paris, from Puerto Rico to Greece, Alyson Noël takes us on a trip filled with mojitos at every layover, outrageous passengers in every seat, and a cute guy at every gate, as Hailey tries to write her own happy ending.